A group of my 8th grade students performing a dance to an American hip-hop song. It’s easy to think of the world as this huge, vast place. It’s easy to think that we are so separated from one another, that we’re so different from one another. It’s easy to think that our actions and choices can’t possibly affect people halfway around the world from us. But that’s not true. As I’ve traveled and as I live halfway around the world from the place I was born and raised, I’ve come to realize that this world is actually a pretty small place. We’re not all that different from each other. And our actions and choices do have the possibility to affect people we’ve never met or even know exist. In reality, the world is rather interconnected. Here are 7 examples of how globalization shows up here in Moldova. 1. Music. As I write this, I’m listening to a local radio station. In the past hour, all but maybe one or two songs have been in English, and almost all of them are songs that I was familiar with in the United States. 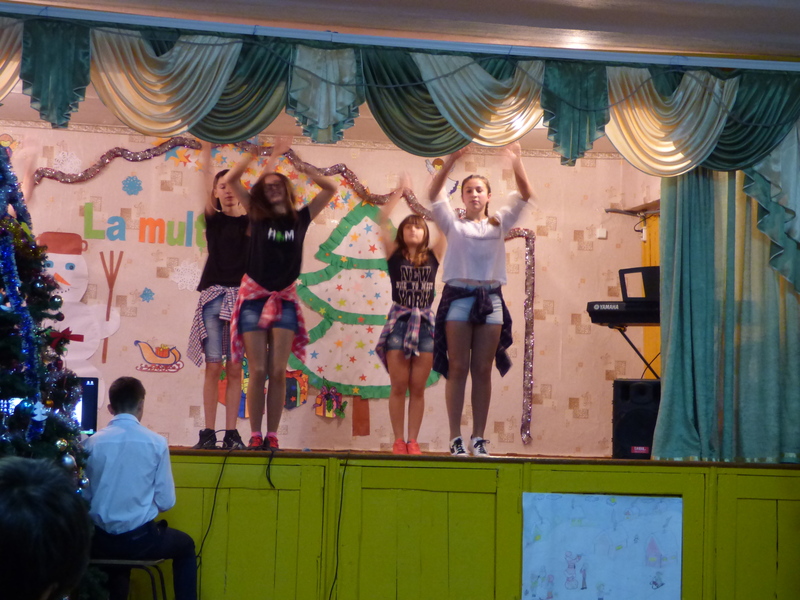 Although Moldova also has plenty of its own music, American music is very popular here, particularly with my students. One day, one of my students asked if I (personally) knew Justin Bieber. 2. Technology. Many of my students and other Moldovans have “American” technology, such as iPhones and iPods. They also spend time on Instagram, Facebook, and YouTube. This allows them to watch videos and see content from the United States and other countries. 3. Work. A large percentage of Moldovans live and work abroad. Though estimates aren’t particularly exact, most sources say around 25% of the working age population is abroad. Many work in Russia, England, Germany, Italy, and Romania, as well other countries in Europe, the Middle East, and America. I have students born in other countries, many students have one or both parents working abroad, and most older adults I meet have children working abroad. There are at least two teachers at my school who have children living in the United States. 4. Language Classes. Every time I go to the capital, I see many signs advertising various language classes and tutoring, from English to German to French. 5. Bi-Lingualism and Tri-Lingualism. Because of Moldova’s complex past, almost every single Moldovan is at least bi-lingual, and many are tri-lingual. Everyone speaks Romanian and Russian, and an additional foreign language is mandatory in grades 2-9 at schools (usually French or English). In Gagauzia, the semi-autonomous state within Moldova, people also speak Gagauzian (an endangered language that derives from Turkish). 6. Food. Particularly in the capital, there are many restaurants serving foods native to other areas, including Italian, Mexican, Thai, American, Greek, and Uzbek. In particular, pizza is quite popular. Another volunteer’s host father explained that prior to Moldova’s independence 25 years ago, Moldovans had never even heard of pizza, but now it seems to be one of the most popular foods at restaurants across the country. 7. Media. The cinemas show quite a few American movies, and there are some channels on television that show American shows. The TV shows are particularly interesting, as they are often dubbed in Russia (over somewhat still audible English) with Romanian subtitles. See? Even in this little country halfway around the world, it’s easy to see how interconnected our world is. 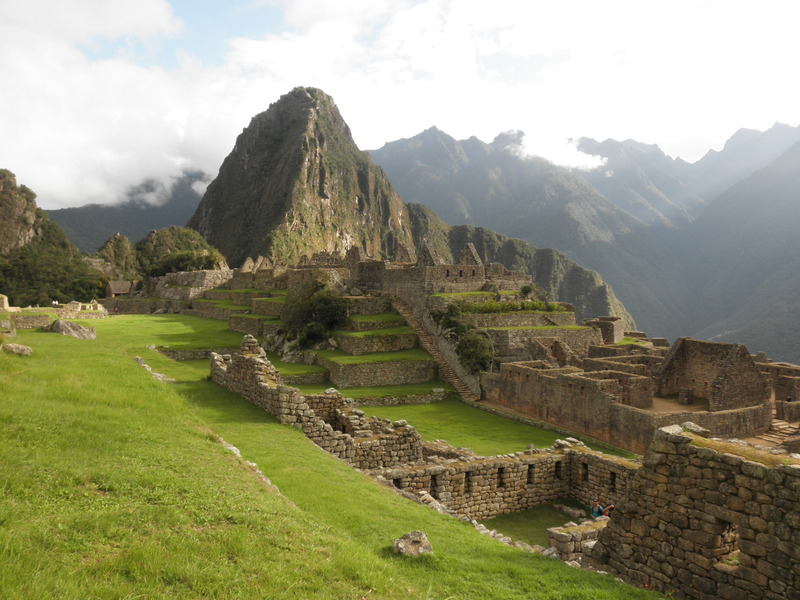 This post is part of Blogging Abroad’s 2017 New Years Blog Challenge, week one: Global Citizenship. Next Article Christmas Vacation Re-cap and Back to School!